New apartment with wifi free, air conditioning hot / cold and Netflix in urbanization with outdoor and heated INDOOR SWIMMING POOL, fitness room and JACUZZI. Less than 10 minutes walk from the seafront of Jávea Port and the beach of Primer muntanyar and La Grava. Do not worry if you have your flight in the afternoon. Speak with us!. We will reserve that day free for you. You can take advantage of those last hours in the sun of Jávea! It is completely new. It has a spacious kitchen, a large dining room, a room with a double bed of 150cm x 190cm (59 in x 79 in) and a room with a convertible single bed or a double bed of 180cm x 200cm (71 in x 79 in). It has two full bathrooms, one with a bath and the other with a shower. The kitchen is fully equipped so you do not miss anything during your stay, dishwasher, refrigerator, washing machine, hob, oven, juicer, Nespresso machine, kettle, glasses, plates and microwave. It has a washing machine and clothes dryer in the small gallery attached to the kitchen. The living room has a large and comfortable Italian design sofa, Smart TV with Netflix TV that you can use without problem and a spacious table where 4 people can comfortably fit. You can also eat at the table on the terrace, this area is very wide, very suitable for families with small children, they will have plenty of room to play !. The apartment is equipped so that you do not get hot in summer or cold in winter, you can enjoy it during all seasons. It has underfloor heating and heat pump for cold winter days and cool air conditioning throughout the house for hot summer days. The pool is only 20 meters from the house, near but far enough to be protected from noise, it is a very quiet and relaxed apartment, very suitable to enjoy a quiet vacation !. It has private interior parking reserved for the property. Only 10 minutes walk to the port of Jávea with its beach and the area of ​​the promenade with restaurants. The Gravel beach, as its name indicates, is gravel although in some small areas gravel sand predominates. Its waters are clear and crystal clear throughout the year so this is one of the three beaches of Jávea that has the blue flag award. Another beach nearby is the Muntayar which is pebbly, about 9 minutes walk from the apartment and 850 meters. It has several well-known beach clubs such as Montgo di Bongo and La Siesta, you can eat or drink your favorite drink on the beach with your family. The nearest sandy beach is the Arenal beach. It is an ideal apartment for couples and families with children, it is a very accessible apartment, there are no elevators or stairs to reach it. Nice location and great place to stay, would highly recommend. Many thanks Justin for your lovely review!. I am glad that you enjoyed a relaxing days in our apartment of Jávea. A really lovely place to stay in a great location. The apartment is only a 10 minute walk from the beachfront and has local supermarkets and restaurants to see you through your stay. The facilities on offer are beautifully clean and exactly as described, including the heated indoor pool and hot tub. We would definitely recommend this as a place to stay. Thank you Ben for your very kind words :) I am very happy you enjoyed your stay in our apartment in Javea. I'm glad you liked it. It was a pleasure to have you as guests. Happy back home! Vicente. 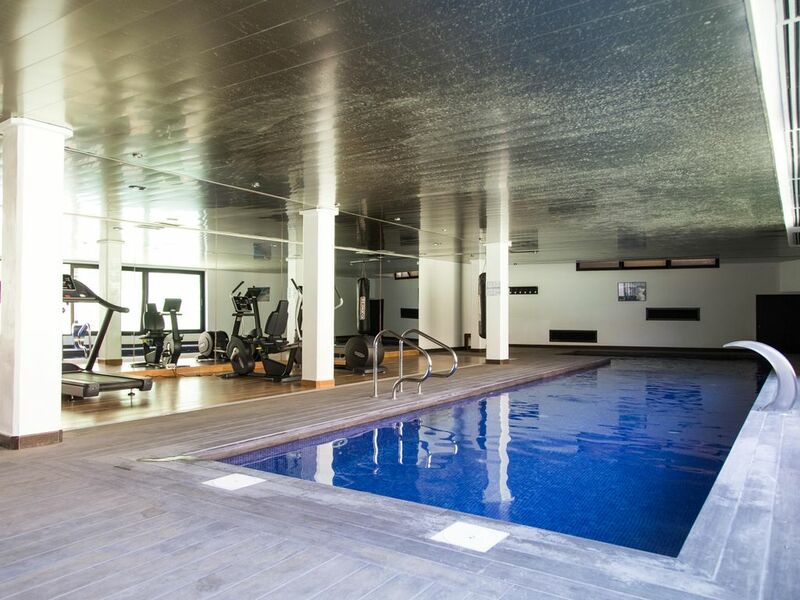 We had a great stay, the facilities in the complex were very good with the indoor swimming pool and a gym. The apartment was spacious, clean and quiet. It was within walking distances to the old town and the port and the beach. Vincente helped us a lot with our queries and arranged for a private transfer to and from the airport. My children really enjoyed it. Many thanks Tracy for your review. It's a great apartment. New. Good location, indoor pool (important in November), gym, etc, etc. And very near of promenade of Javea Port. See you in other occasion!. Vicente. Stylish, clean & quiet! Perfect holiday for our family. We often had the pool completely to ourselves! Will definitely return to Javea. Thank you very much for your review, Nick & Louise! . I'm glad you enjoyed our apartment in Javea) You will always be welcome!. Vicente. Un acierto escoger este apartamento para pasar unos días en familia. Hemos disfrutado de todo: zona aguas ( Impresionante la piscina climatizada), fitness, paddle, Netflix, y por supuesto de Javea y aledaños. La casa está equipada con todo. Súper tranquila. Cerca del puerto y del pueblo. Vicente ha sido un encanto, rápida respuesta y atento a nuestras necesidades. Con la calefacción central y el suelo radiante no nos hemos enterado del frío. Para repetir! Muchas gracias Paula por vuestra estupenda opinión de nuestro apartamento en Jávea. Me alegro mucho que hayáis disfrutado de la piscina climatizada, es un lujo!. Espero volver a veros :) Vicente.